I have a 1958 Dodge Regent, it's a 1958 Plymouth from the firewall back. I want to buy carpet. Not the cheapest carpet, I would rather have quality. I see ACC makes loop and Essex carpet. Anybody else?? I looked on Ebay, looks like ACC parts numbers- 16226 - on the kits I see. The tunnel gets sewn it looks like. Why is there molded carpet available for 1959-1961 cars and not 1957/58? Can I run 1960 carpet in a 1958 Plymouth? I would rather have molded over sewn. The car is a bench seat two door hardtop. Location: northern germany They started using molded carpets for the 1960 model-year. I do not think unibody carpets fit the 57-59 cars. Pretty sure about that. Until now I did not find a quality aftermarket carpet for the unibody cars. They all do not fit, lots of wrinkles around the transmissin hump. The OE molded carpets are like sprayed on. Rock auto carries ACC stuff at a good price. They dont list carpet for the 57 Royal... So you can hunt around and find your model and carpet. And you get a 5% discount also. Location: Lower Mainland BC I got my ACC carpet set through Stock Interiors. (ACC does NOT retail as far as I know). There were issues but Stock Interiors (and I presume, ACC) took care of it/me. I would phone and confirm that the carpet is molded. Carpets were not molded as many or better everybody in here believe, my car original carpet is proof of what i'm saying. It is mentioned in the press kit and brochures and all my 60/61s I bought with original carpets had MOLDED ones. My 60 Fury (still have the OE carpet) I bought in 1988 was an untouched original with receipts lying on the carpet from 1961 (still have them too). Nobody ever restored or replaced the carpet, I found bits an pieces under it they forgot at the factory. My 61 Desoto had the broadcast sheet imbedded on the backside of the MOLDED carpet. I have an absolutely untouched, unrestored (rough) 60 Adventurer in my garage that hasn't been driven since the 80s. It still has the OE carpet. It is molded. I do not think your carpet is original (looks way too nice for that) but even if it is, you simply can't say these cars didn't have molded carpets because yours isn't. So MAYBE not all 60/61s had molded carpets, but the majority had. 59 started molded carpet. ACC even lists the 59 as molded, the 58 is cut an sewn. Hmm so how different is the 59 floorpan than the 58? Could you put a 59 molded carpet in a 58/57? Okay, maybe for higher priced models? The 60 Plymouth brochure says the carpets are molded this year, for the new unibodys, which implies this wasn't the case before. I was looking at just the dodges... hmm they do show molded for 59s with pic across the board for all cars. 59-60 are the same??? 59's cant have the same floorpans as 60's can they? Similar? Or maybe they are going off manufacturing "year"? Location: northern germany Well, the pans are different 59 vs 60 but that does not mean the aftermarket carpets are! Maybe that would explain the terrible fit? Location: Lower Mainland BC It could be that you are both right. Undocumented running change sh*t happened. As for brochures representing reality without errors, I can attest that there are "errors", perhaps because the vehicles that they need to photograph have to be pre-production in order to create and print the brochures in time for the release of the cars. 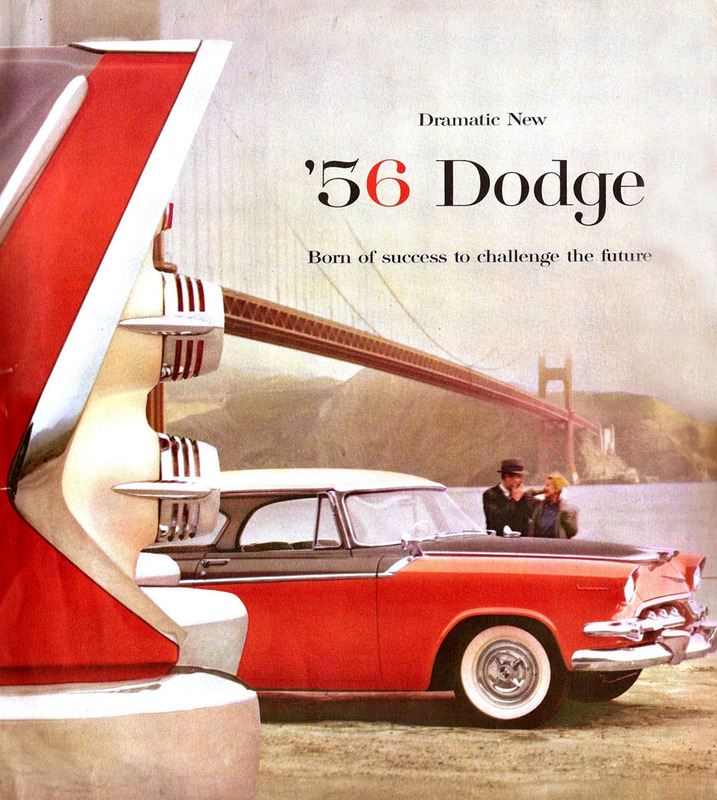 Even on the cover of this 56 Dodge brochure, the car is sporting 55 Dodge door handles. Maybe we should focus on the topic "Carpet for (a) 1958 Plymouth"? I read alllllll the input, quarrelsome or not. I've got until spring to figure it out, I can order ACC and see what shows up, I can try to source materials and make myself, whatever works! I've been on TONS of internet forums, I can wade through the posts no problem! Location: Newark, Texas (Fort Worth) since 1958 pans are close to the same as 1959's; I would order a molded one for a '59. Sorry, memory served my wrong. 1959 could be indeed the first year for molded carpets. Location: Northen Virginia Oh yes I remember that thread, the one that Wizard edited to his convenience. But the funny thing it that looking at the pictured of Wizard carpet I can see many similarities that would back up my findings, that I never noticed before. Now I know for a fact that 1960 and 1961 cars had the exact same carpet material. It is just there "in your face" but nobody can see it! Lovely! 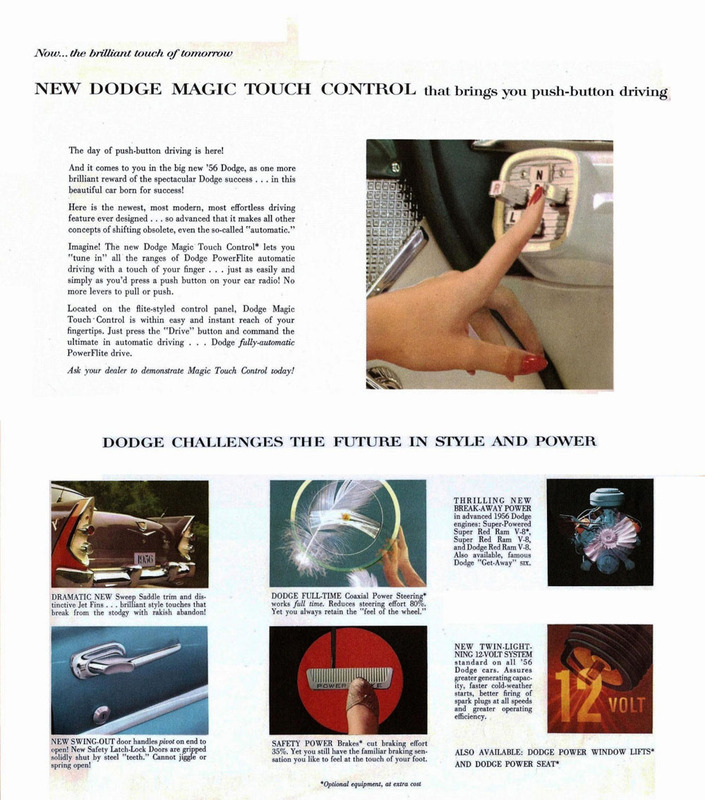 I better, keep those new finding for the next time, let this guys just keep holding to the Mopar brochure words like the undeniable Ricardo Montalbán's "Corinthian Leather" true of 1978. Going back to the original thread, the original carper material is not available anymore so it can not be reproduced.